Not all giants in Disney's “The BFG” are friendly. Based on the beloved book by Roald Dahl, the film tells the imaginative story of a young girl named Sophie and the Giant who introduces her to the wonders and perils of Giant Country. 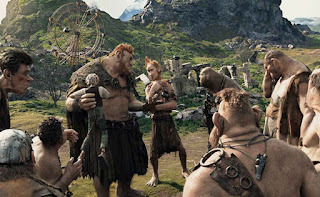 But Sophie’s presence in Giant Country has attracted the unwanted attention of nine fearsome giants – the brothers of the BFG himself -- who have become increasingly more bothersome. 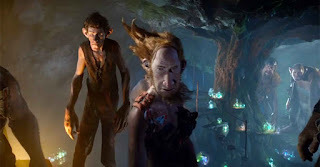 The cannybull and murderful motley group of mythical beasts who roam the earth gobbling up human beans provided all kinds of opportunities for invention, creativity and frightening fun for Steven Spielberg, his actors and his creative team. 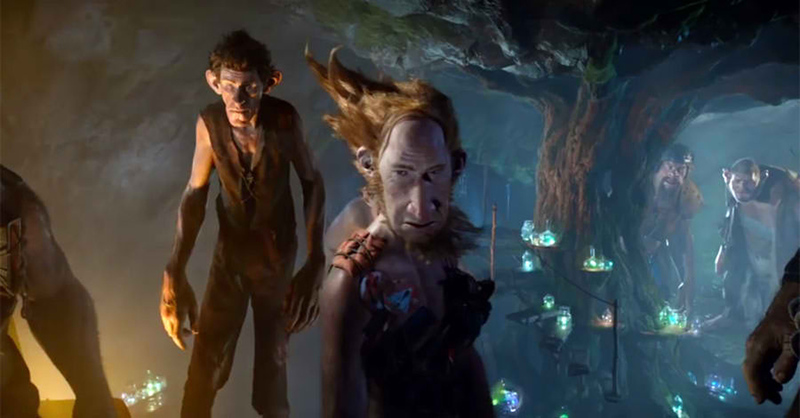 Of all the evil giants who inhabit Giant Country, the BFG’s nine brothers are the worst. Substantially larger in size, they treat the BFG with cruelty and disdain, but in typical Roald Dahl fashion, they are also there to make us laugh. Dahl was somewhat of a giant in real life himself, standing 6-feet, 6-inches-tall. British actor Adam Godley (“Charlie and the Chocolate Factory”) is Manhugger, the thin and slowest moving giant. He does the least of anyone and thinks only of himself. At 39-feet-tall, Gizzardgulper is the shortest of the nine giants. As played by Chris Gibbs (TV’s “Reign”), he is also the peacekeeper of the group and idolizes Fleshlumpeater. Bonecruncher is played by Michael David Adamthwaite (“Final Destination 5”) and is the youngest of the group and a troublemaker who often puts the others in danger. Meatdripper, who is played by Canadian actor Paul Moniz de Sa (TV’s “The Flash”), is the jokester of the group and loves to go hunting for children. Jonathan Holmes (TV’s “Descendants”) plays Childchewer, Meatdripper’s best friend. He is the best looking of the group, and as a result, is always concerned with his appearance. Icelandic actor Ólafur Ólafsson (“The Last Witch Hunter”) is Maidmasher, who is the most stylish of the group. While masculine in his demeanor and appearance, he is also very in touch with his feminine side. Finally, Butcherboy, who is played by Daniel Bacon (“The Day the Earth Stood Still”), walks with a limp, the result of a fight with Meatdripper which left him partially paralyzed. He would love to someday be top dog but knows it will never happen, and he has a chip on his shoulder as a result. Opening across the Philippines on Aug. 10, “The BFG” is distributed by Walt Disney Studios Motion Pictures through Columbia Pictures. Like us on Facebook, WaltDisneyStudiosPH; follow us on Twitter, @disney_phil; follow us on Instagram, @disney.ph and use the hashtag #TheBFGPH.